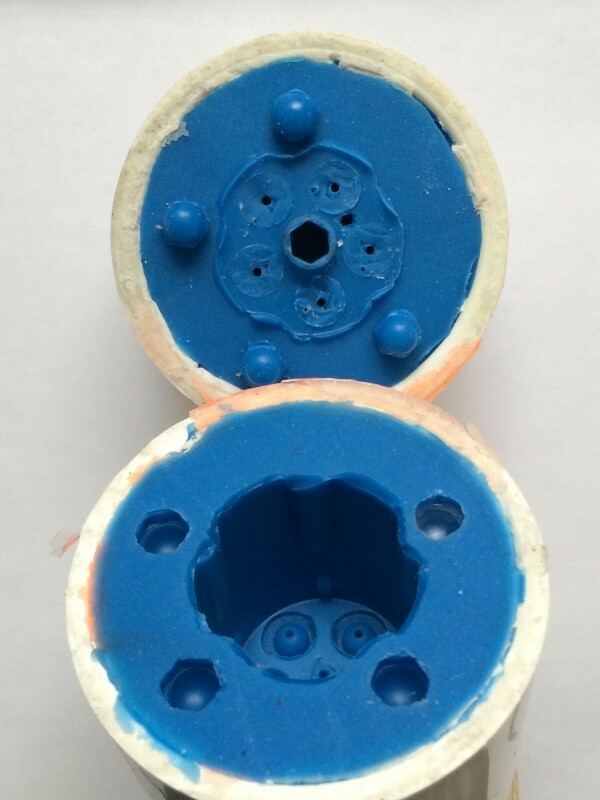 In Part 1 of my blog series The Making of the Wall-Saver safety cylinder, I told you about the first proof-of-concept mold that I created to try out different plastics. It was simply a casting of a S&W 5-shot .357 cylinder from my 360PD. About that time I acquired a model 637 to test the Pocket-Safe hammer shroud on, and since I prefer to carry a .357, used that cylinder for further testing. 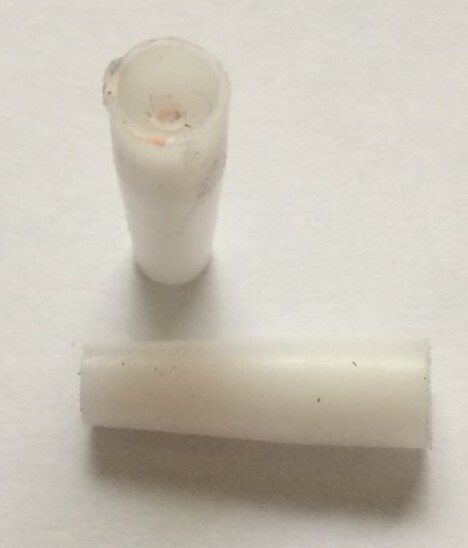 Two plastic chamber-forming inserts. They are tapered for easy extraction from cured cylinders, and have both a hemispherical bottom and a hole through the middle for alignment purposes. Brass used to plug up the chambers of the live cylinder and form hemispheres for alignment of the chamber inserts to the left. Note the heads were trimmed to allow the extractor star free movement in the final plastic casting. The proof of concept mold was just a straight reproduction of the cylinder, but to make this a snap-cap cylinder, I needed the chambers from big enough to accommodate ammunition to small, and closed-ended, to fit a spring and brass plunger for a snap-cap. 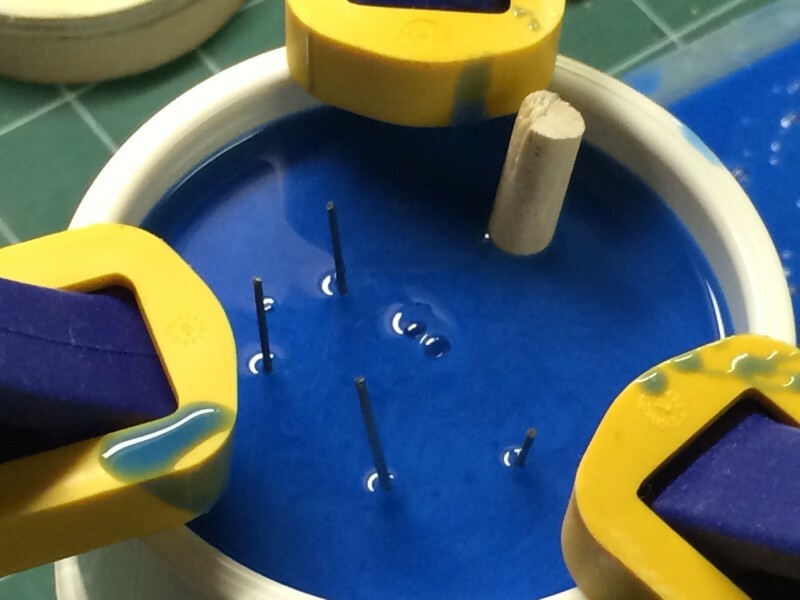 That meant I needed to either create a silicone mold with rubber protrusions to form the (small) chambers, or have some kind of removable plastic insert to accomplish the same thing. Since I had struggled so mightily to remove the silicone from the proof-of-concept chambers, I thought the plastic insert idea would be the way to go. 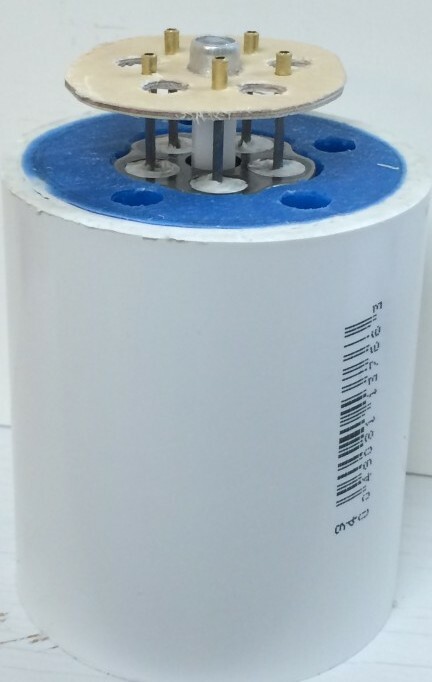 But how to align the chamber-forming inserts properly each time? And, relatedly, how to prevent the silicone from filling the actual chambers of the live cylinder when the mold was made? 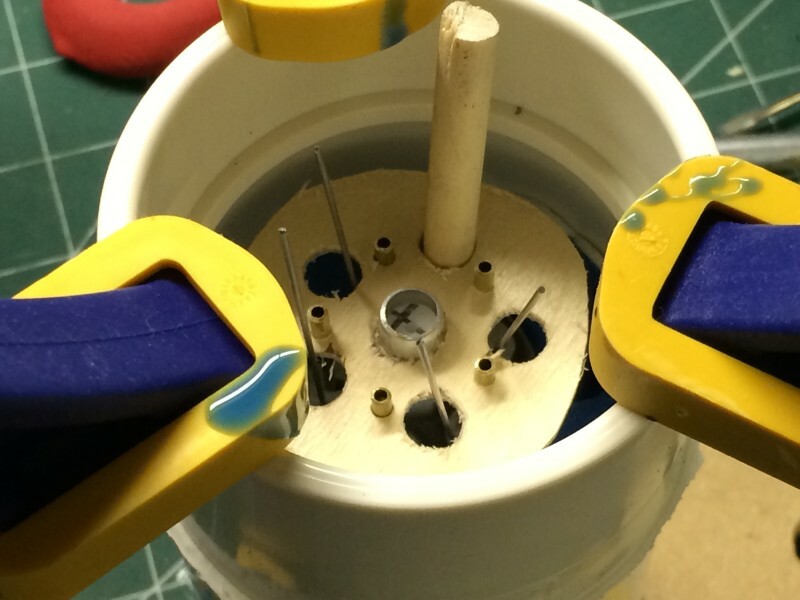 I spent a couple of hours sketching out what the mold should look like, with thin plywood inserts to be surrounded by liquid silicone, metal tubes to receive wires used for alignment, and the like. 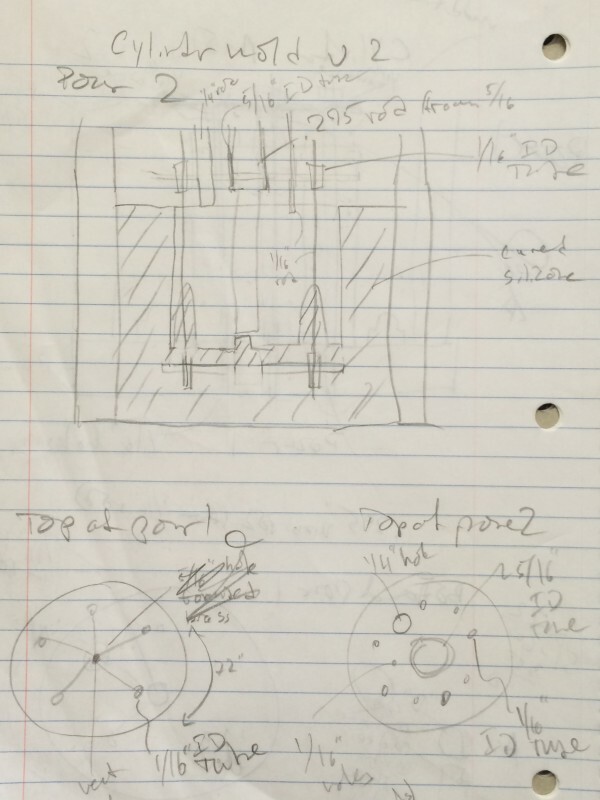 That includes a bunch of time working out a bill of materials and sketching/calculating the exact dimensions of each part, as well as working out how to go about minimizing the number of cuts and moves on the mill, and therefore the number of chances to make mistakes. You can see how they all fit together at the top of this post, in chronological order. 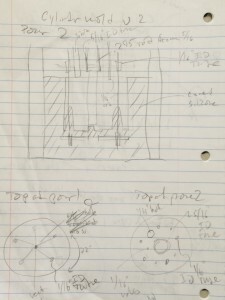 One of my notebook pages with sketches and dimensions. There is a large number of these showing the gradual refinement of the design on paper before any silicone was poured. 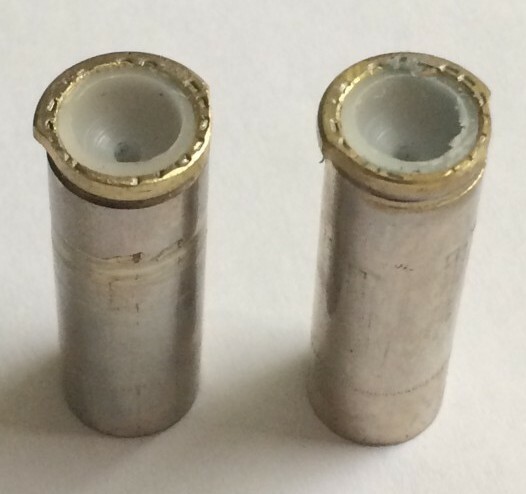 Inserting used .38 caliber brass into the chambers plugged them up. Because the rims of the brass would interfere with the use of the extractor, they had to be trimmed, as you can see in the picture. And to facilitate alignment of chamber cores, the used brass was fitted with plastic inserts having hemispheric cutouts on them and 1/16” holes through the center. 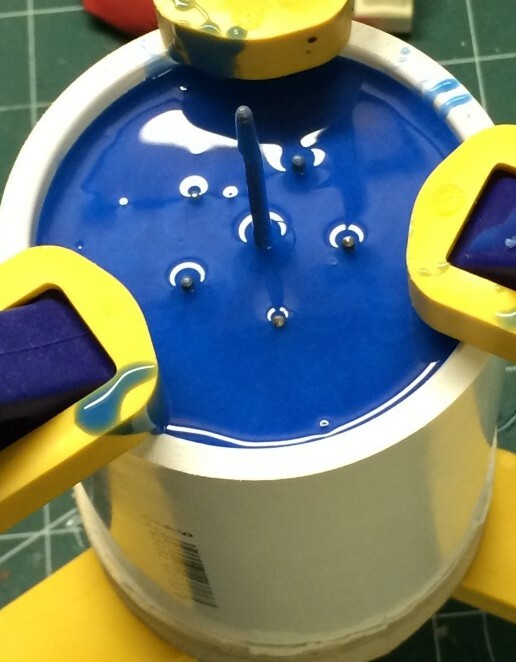 Then I put it all together and used a Schedule 40 pipe coupler as a mold box, pouring silicone over the whole thing. Pouring the top half was a bit more complicated, as it required a sprue for filling the mold and vent holes to let air out of the completed mold, as well as some modeling clay to plug the top of the chambers. 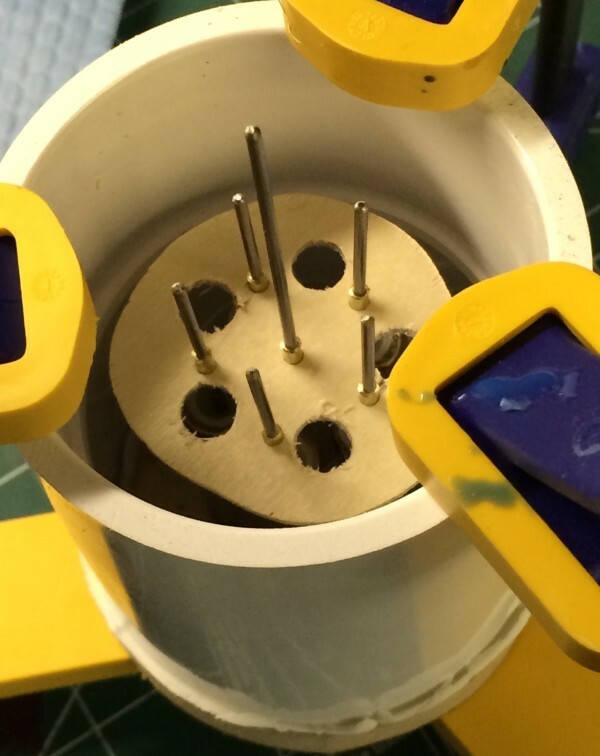 The final mold with the chamber inserts shown in place. 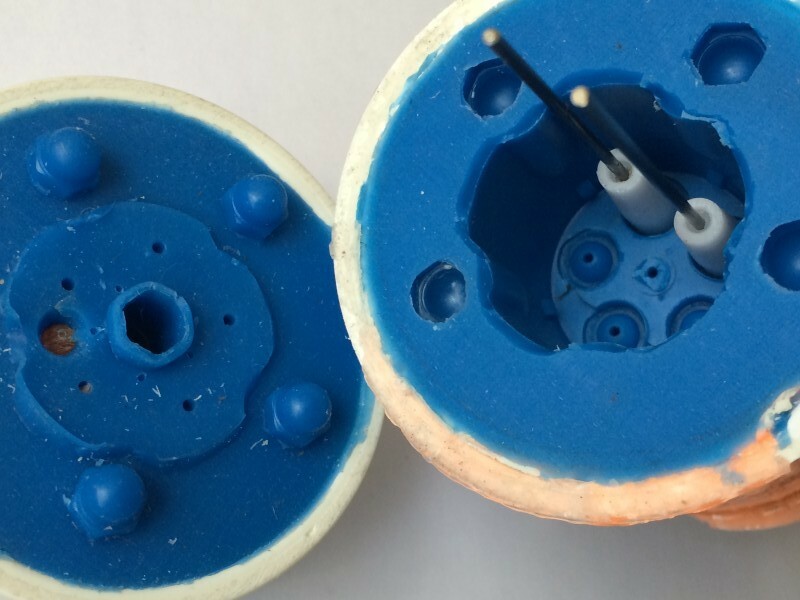 The result looked just as I’d planned, and allowed me to stick the chamber cores, tapered for easy removal and with a depression at the top so that the springs could slip over it, right down on the silicone hemispheres. And from that first mold came the first prototype. 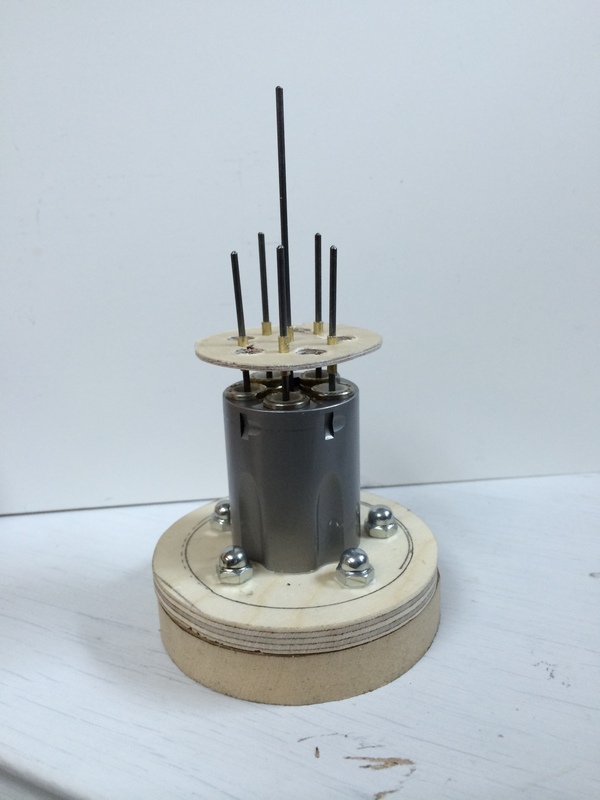 The next problem—or at least, the next problem that I was able to anticipate—was fitting the springs, brass, and plastic inserts into the prototype.